The next lot of my bullet journal spreads for the last month of 2018! I’m still working on the final two weeks while I think of what to do for January … animals and nature seems to be a favourite choice in most of my themes so I may go with that for 2019. 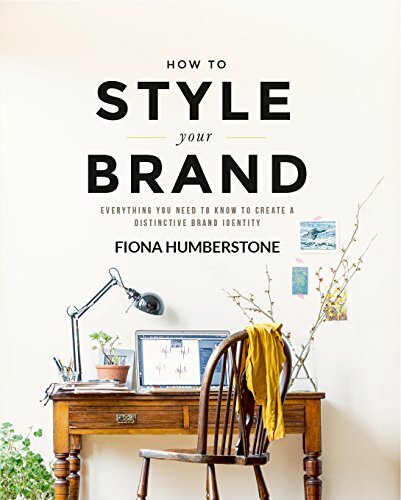 Meanwhile, above is my monthly and below is the response to a challenge by @journalingyourway on Instagram: ‘Spread More Love’ … I’m trying to keep things simple and sweet as this month is hugely busy. 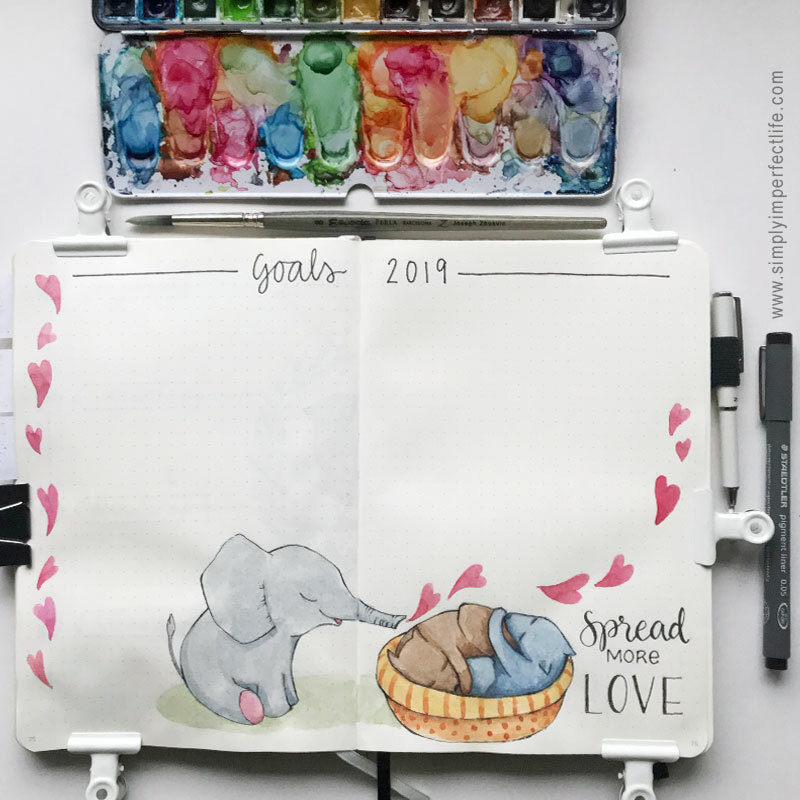 Then I created spreads for my Tasks and the art prompts of the month, that I post (almost) daily over at my @floatinglemonsart social media sites or at my Floating Lemons Art blog if you feel like following along. 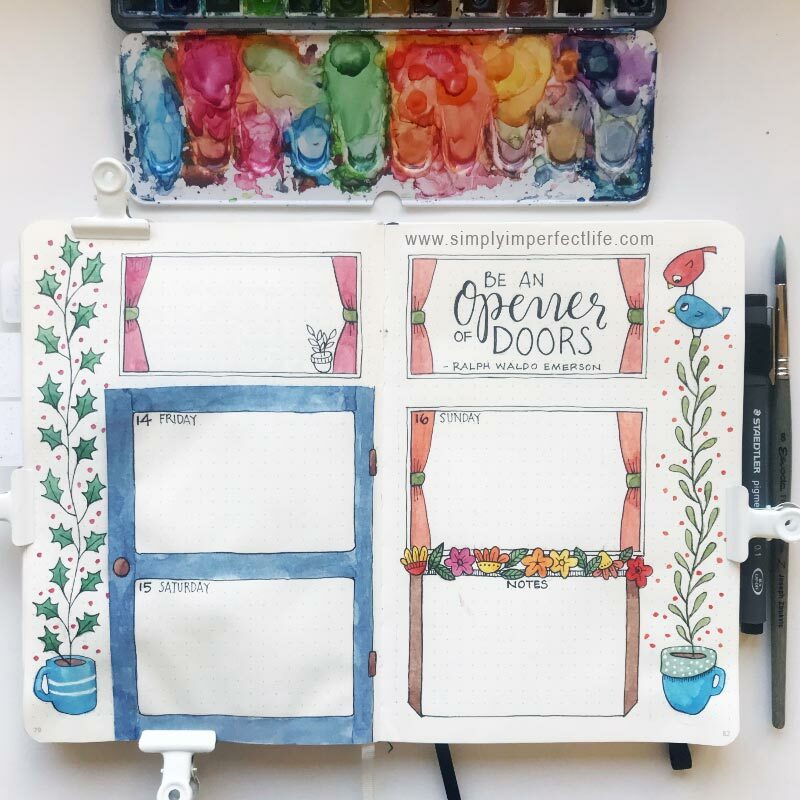 I did try to keep my weekly spreads minimal and didn’t do too badly with week 1 and the robin in the leafy wreath, but then decided I wanted to do a dutch door for week 2 as I love them, and ended up spending a bit more time than expected … but it was worth it I think! Well, that’s it for the moment. I just have to ink in and colour my last couple of weeks and then fill them in with work and life plans and jobs. 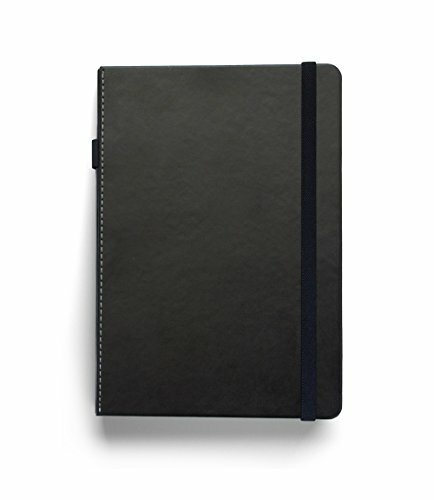 I have a new journal set aside for January and the new year, and am looking forward to filling that in … but I’ll have to spend some time figuring out what with! Cheers. 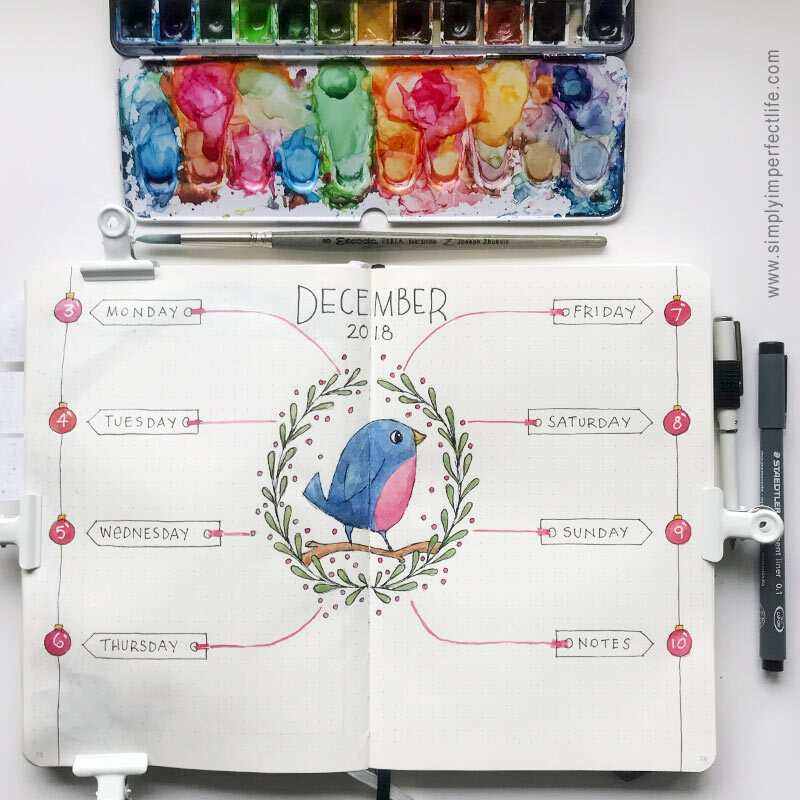 Newer PostBullet Journal: Merry Christmas!